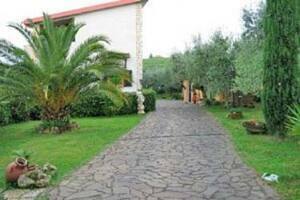 The B&B Magic Garden is located in the countryside of Rome and just 35 km from the big city. It's situated in a strategic position to reach a lot of sites. Rome, Tivoli, Palestrina, Zagarolo and Valmontone the second tourist hub with it's famous amusement Park rainbow Magicland and the Fashion District Outlet. Pets allowed. Breakfast for people with food intolerances (on request). BnB l'Angolo di Mo e un appartamento dall'aspetto minimal e arredato con stile moderno, concepito per riservarti spazi di intimita e riservatezza e spazi comuni di socializzazione. L'ampio e luminoso salone accoglie i nostri ospiti e li introduce in un ambiente caldo e familiare. BnB l'Angle of Mo is an apartment furnished in a modern style, conceived for spaces for intimacy and privacy and common spaces for socialising. The large and bright living room welcomes our guests and introduces them to a warm and familiar environment. Just near by train and station busses, is easily reach the most important places. Room confertable with WI-FI with shops restaurant and pizzeria ,bars. Historical center of Rome, 10-minute walk from the Colosseum and the Roman Forum. 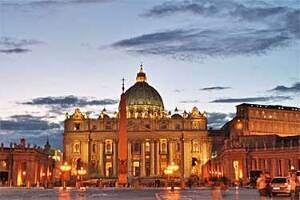 The excellent location allows you to easily reach all the most interesting places to visit in Rome. Metro and bus stop 50 mt. Stylish, comfortable, cozy. 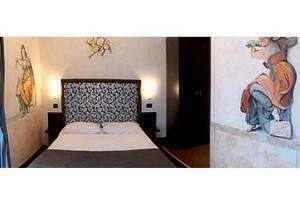 rooms with ensuite bath, a / c, LCD TV, free Wi-Fi internet. The perfect base for exploring the grand city of Rome. Make yourself at home! 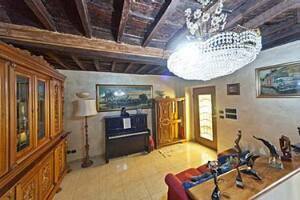 The property offer a cosy rooom in a sunny apartment, situated in zona Aurelia. We offer a service for people who want a family feeling with good personal service. The bright and very well furnished double room with privat bathroom and balcony, is situated on the fitop floor of a building accessible by lift or stairs. Continental breakfast is included, and also available on the terrace.